SOLNA, Sweden, March 1, 2010 — BabyBjörn, known for high-quality, safe and stylish products for parents of young children has announced a new addition to its popular baby carrier line: the BABYBJÖRN® Comfort Carrier. The Comfort Carrier features an adjustable, ergonomic waist belt that distributes the child’s weight to the wearer’s hips, so parents can carry older and heavier children more comfortably. Because the baby carrier can be used with children up to the age of 2, parents can enjoy the infant-parent bonding and hands-free mobility benefits of babywearing longer. To ensure the child’s comfort, the Comfort Carrier offers flexible carrying positions. Facing in, the child can be carried with normal or wide leg positions. The baby carrier includes a firm, stable head support to properly position an infant’s head and neck. For older children who are fascinated by their environment and want to observe their surroundings while being carried close, they can be carried facing out, with the normal leg position. Parents should pay attention to their own child’s signals to decide whether facing in or out is appropriate. 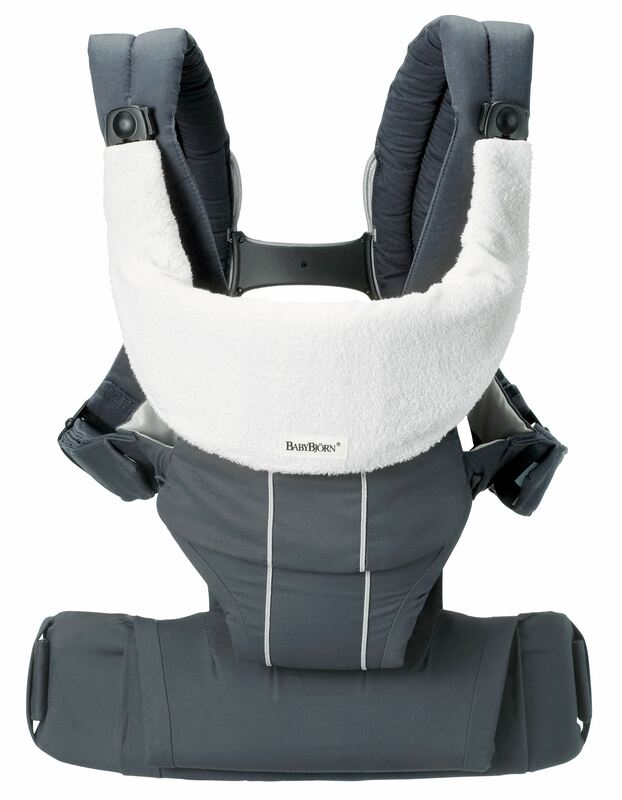 BabyBjörn has developed the Comfort Carrier in close collaboration with pediatricians, parents and children. The University Hospitals Rainbow Babies & Children’s Hospital, home of the No. 2 ranked NICU and one of America’s Best Children’s Hospitals according to U.S. News & World Report, recommends the use of the front baby carriers such as the Comfort Carrier to help strengthen the infant-parent bond. In 1970, the hospital published paramount research on the importance of infant-parent bonding. The Comfort Carrier is made from organically grown cotton, which meets the Global Organic Textile Standard (GOTS), the most recognized international organic standard. Additionally, all BabyBjörn fabrics that come into contact with baby’s skin are Class-1 Oeko-Tex certified. This rigorous certification means that they are guaranteed harmless to children’s sensitive skin and will not trigger allergies. The Comfort Carrier can be used for children from 13 to 31 pounds (approximately 3 months old to 2 years old) and is machine washable. The BABYBJÖRN® Comfort Carrier has a suggested retail price of $179.95 and $209.95 CAD. It is available in department and juvenile specialty stores throughout the United States and Canada. Since 1961, BabyBjörn, a family-owned Swedish company, has manufactured high quality, innovative products for infants and toddlers. Best known as makers of baby carriers, BabyBjörn carries more than 20 products in its portfolio. All BabyBjörn products are tested and certified in Sweden. The company works extensively to eliminate substances that are hazardous to health or the environment in the materials used in manufacturing BabyBjörn products. Available in 40 countries, BabyBjörn is a preferred brand with parents around the world. Their award-winning Swedish product designs guarantee quality, safety and style. BabyBjörn is headquartered in Solna, Sweden, just outside Stockholm. BabySwede LLC is the sole distributor of all BabyBjörn products in the United States and Canada.